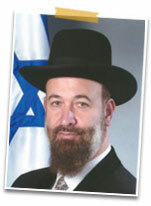 Rabbi Yona Metzger has been the Chief Rabbi of Israel since his appointment in 2003. 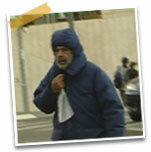 Since becoming Chief Rabbi, Rabbi Metzger has been very active in attempting to reach out to various orginizations including Warm the Needy. In 2004, 28,000 additional families dropped below the poverty line. Close to 100 of Warm the Needy's recipients are single parents. Warm the Needy operates, using a $15,000 software program which allows us to directly pay thousands of bills nationwide, every month. Chana, mother of four little children cannot count how many times she has had her electricity cut off. She is so gratefull to Warm the Needy for keeping her family warm in the winter by providing heaters and financial assistance for their electricity bills. 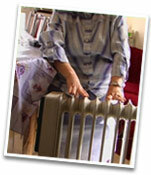 Rivka, mother of six little children could not afford to keep the heat on in the winter. Her children constantly had pneumonia. With Warm the Needy's help she can now put the heat on in the winter and allow her children to take warm showers every day. The Berger family of Maalot dreads the coming of winter. Living four kilometers from the northern border they are subject to harsh winds and rain that whip easily through the shabby exterior of their home. 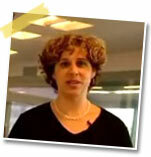 Iris Ben-Shachal is the spokeswoman for the Israeli Electric Company in Israel. 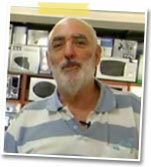 Warm the needy has been working together with the IEC to subsidize the electric bills of poor families in Israel.